Dr Kutinsky is the Director of Addiction Medicine at St John Macomb-Oakland Hospital. He is also the physician representing the Detroit Pistons for the NBA/NBA player's association anti-drug program. He specializes in treating addiction in both the inpatient and outpatient settings. He has been serving ... Read More Macomb and Oakland counties for 20 years. Dr Kutinsky is also a certified Suboxone physician. 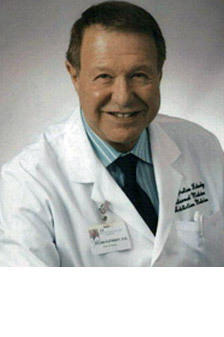 He is one f the original physician to get licensed to use this drug 12 years ago. Suboxone is indicated for maintenance treatment of opioid dependence and should be used as part of a complete treatment plan, which will include counseling and support. He will develop a personalized, comprehensive approach to reach a patient's treatment goals.